For the past few years, I have been part of a group of Pittsburgh bloggers who have helped the Pittsburgh nonprofit Community Human Services aka CHS raise money for their holiday gift project. One of the things that I have learned about CHS is that they provide many important services to Pittsburghers who don’t fit into other social service programs. The same holds true for the holiday gifts. The money raised from the CHS Holiday Gift Project goes to CHS to provide a little holiday gift to the people who likely don’t fit into other holiday gift programs which are usually for kids or seniors. This year, we’re getting a little bit of a head start with a new idea for fundraising with ThredUp. ThredUp is an online store that sells new and used women and kids clothing. ThredUp will buy your extra clothes, as long as they are in good condition, and will donate the money to CHS. 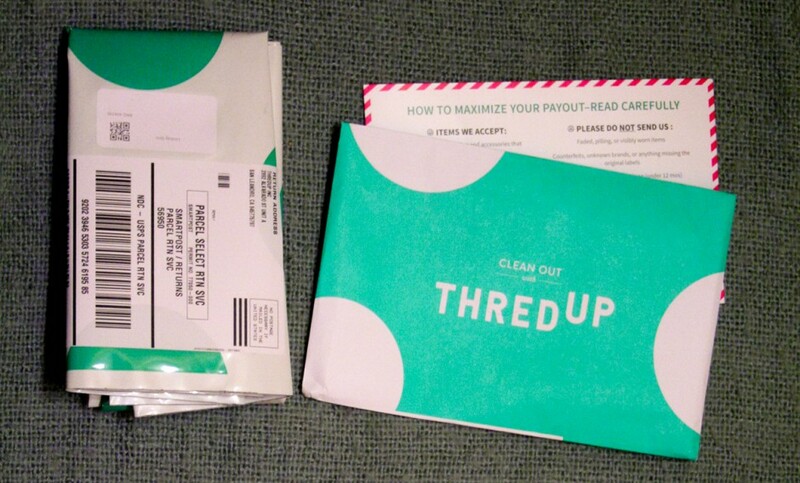 I have sent several ThredUp cleanout bags back to ThredUp over the past year, and I have ordered from the ThredUp shop many times. So I thought it was time to try the ThredUp fundraising program. If you have some extra clothes that you were thinking of donating, please order a free ThredUp clean out bag and donate to the CHS holiday gift project. Order your free clean out bag today. The whole process takes a few week – so the sooner you order a free cleanout bag, the sooner we can raise some $$$ for CHS. (Any funds that come in after the holidays will also go to CHS). Visit the CHS Holiday Gift Project Group on ThredUp HERE. Click the yellow “Order a Bag Button” – for the items that ThredUp doesn’t want – you can choose to have them donated to Goodwill or sent back to you for a small fee. If you are interested in other websites w online shopping on ThredUp or a similar site Twice. Use the following links, for each person who signs up – I get a $10 credit. I will be donating all of the referral credits from both ThredUp and Twice to CHS. I will be blogging and Tweeting updates about the project between now and whenever we finish raising the $5000 – please help me spread the word by tweeting with #CHxmaS.